Arsenal went behind by two goals and Manchester United scored that but since then the Gunners started to make attacks to the opponent goal post. However, they returned the match by scoring a goal but at the end, they could not save the match. Man Utd managed a dominating victory at Emirates Stadium. The very competitive match in English Premier League was won by the team of Jose Mourinho by 3 – 1 goals difference. After 2014, this was the first time that Jose Mourinho’s team got a victory at the ground of Arsenal. In Saturday night at Emirates Stadium, the local audiences were stunned at the minutes of four and the guest team Manchester United went ahead by 1 – 0 goal. Arsenal defender Koscielny made a wrong pass and Valencia got the ball. He with the help of Pogba made a strong speedy shot and stopper failed to stop the ball and got the very first goal. In 11th minutes, the Red Devils scored another goal and this was also came through the fault of the Gunners where Mustafi made a wrong decision. This German defender made a wrong shot and ball went to the Lingard then Lukaku. Then through the pass of Martial, ball came again to Lingard and he touched the ball lightly and scored the 2nd goal. After Digesting two goal, Arsenal went ahead considering ball possession and they also got plenty of opportunities. In 30th minutes, Sanchez made a free kick just outside from the box but that was stopped by Young and so, they wasted a good opportunity. Four minutes later, Their disappointment also increased. Lacazette made a shot which was hitted by the stopper David de Gea and then crossbar. In the additional minutes of the first half, Ball went to the goal post through the touch of Lukaku but at the end De Gea stopped the suicidal ball. So, first half finished with 2 – 0 goals. 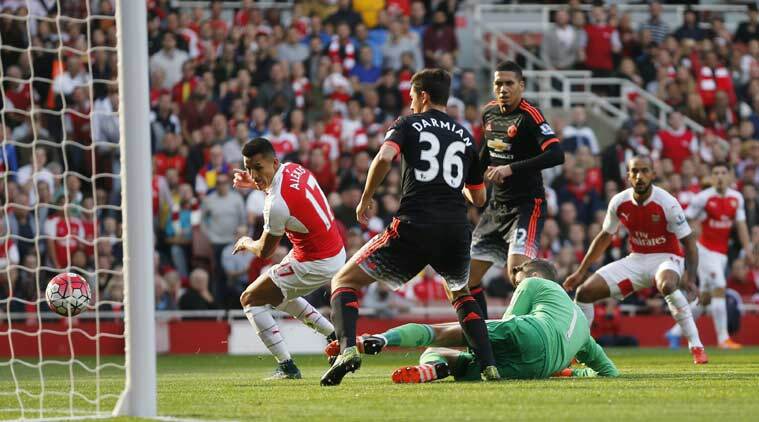 At the beginning of the second half, Arsenal returned to the match by repaying a goal. In 49th minutes of the game, Arsenal got a free kick and rest work was done by Ramsey by avoiding off side trap. Then Gea was failed by Lacazette and scored the first goal. In 56th minutes of the game, Gea stopped the shot of Lacazette once again and Sanchez tried a counter attack but that was also stopped by Gea. However, in seven minutes later, Manchester United increased their goal difference and so, it was getting very hard for Arsenal to return the match. So, finally, the match finished with 3 – 1 goals.